Featuring immersive, live-action escape room games in Orange County. The greatest mysteries are yours to solve! 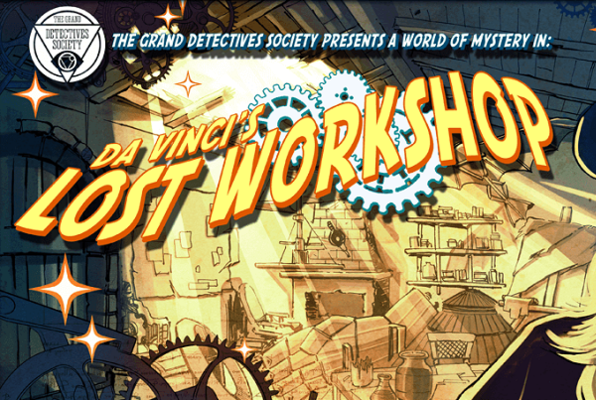 An escape room adventure where you must solve the mystery of Da Vinci's final invention! Last reviews of escape rooms by "The Grand Detectives Society"
We had a lot of fun. Very challenging setup. The host put on a very entertaining show for everyone. We want to do it again for sure! The smart detective approves. The Grand Detective's Society gives full access to the hottest mysteries, quandries, enigmas, curios, whodunnits, whodidndunnits, conspiracies, secrets and hopscotch. What a GREAT time! The staff were great, making the whole experience even that much more pleasant. Very high quality puzzles and challenges, some humor, a few thrills and chills, and a wonderful time of teamwork! Great job, can't wait till you've got more rooms!